I love the New Year and a fresh beginning. As you know, I have tried to maintain a healthy lifestyle this last year and lose my baby weight of over 30 pounds. It is such a great feeling to become healthy and adapt eating habits to keep yourself on track. Many of you have probably made goals for this new year to have a healthier lifestyle and lose those extra holiday pounds. If there is one thing that I have learned it is hugely important to get all of the nutrients that your body needs. I started working with a nutritionist, logging in all of my meals to My Fitness Pal, and counted my macros. I quickly found that in order to keep my macros and get enough nutrients and protein that my body needed a nutritional supplement. It helps to keep me on track and gives me enough energy throughout the day. It is also perfect after a workout and gives my muscles and body the proper recovery and protein that it needs. My body needs 35% of protein in my nutrition and I found it was nearly impossible to reach my goal without a nutritional supplement. I instantly feel in love with FXN sport nutrition and it has become a necessity in my life to maintain a healthy lifestyle. It is essential for getting the proper nutrients that I need in my diet. “Since 2010, FNX has been providing the highest quality nutritional supplements to thousands of doctors across the US and Canada, successfully bringing a wide variety of benefits to their patients. Because of the science backing the FNX products many doctors who would not normally sell natural products in their practice have jumped on board and are astonished at the results they are seeing. 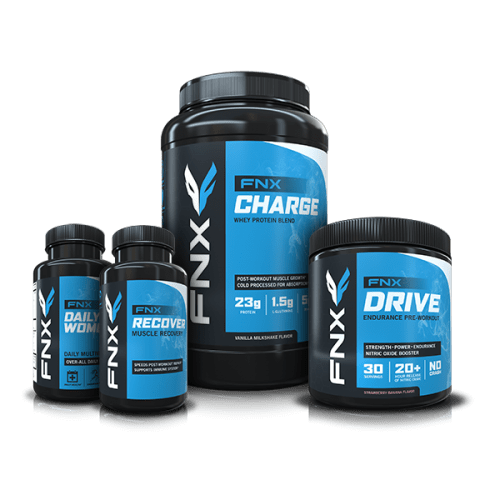 The FNX products are formulated for an all day release in the body making the benefits more consistent and beneficial, this is one of the major differences between FNX and other supplement companies. With the FNX Score Meal Replacement not only do you get high quality protein but you also get 4.5 servings of real whole food fruits and veggies with every serving and on top of that 10 grams of cold milled flax seed. To say that this products is highly nutritious is an understatement. But you won’t know unless you try. 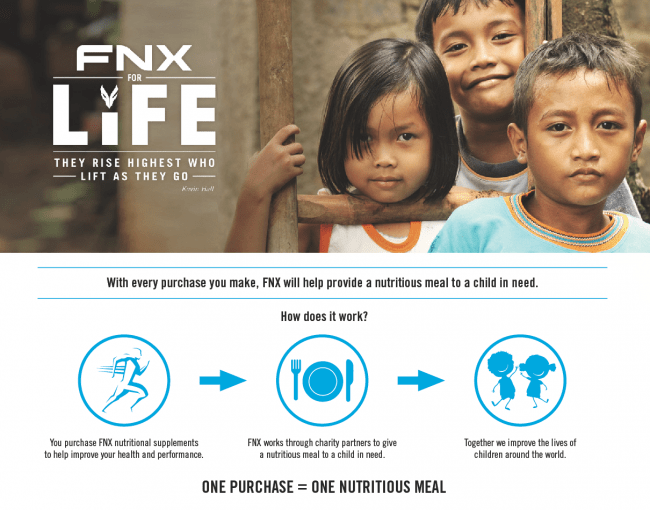 I also love using FNX nutrition in the recipes that I make. It adds protein plus it gives you 4.5 servings of fruits and veggies! It is also a great way to sneak in nutrients to recipes that my kids are needing as well without them knowing it. Today I am sharing a healthier pancake recipe, my favorite berry green smoothie recipe and a peanut butter chocolate chip cookie recipe! I have also added this into breakfast muffins and the possibilities are endless in adding a scoop of this in recipes for the added nutrients that your body needs. Today I am sharing with you not one, not two, but THREE delicious recipes. They are healthy and have all of the nutrients that your body needs with the Score Meal Replacement. 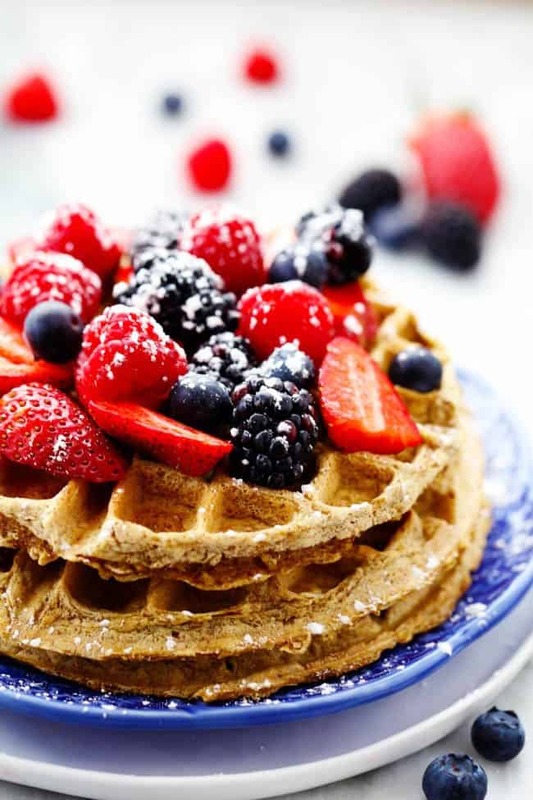 I love to start my morning out with some delicious whole wheat waffles. They come together quickly and my kids love them too! 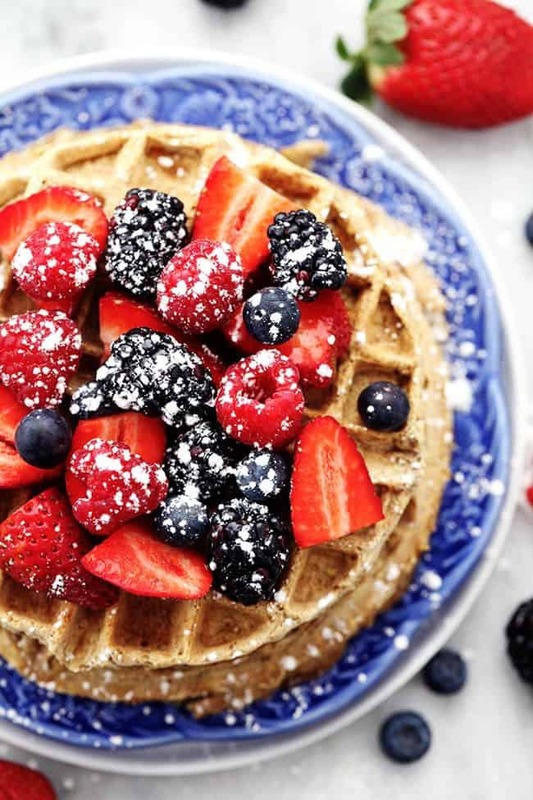 The waffles have a crisp edge and soft inside and I love them topped with a pile of fresh fruit! 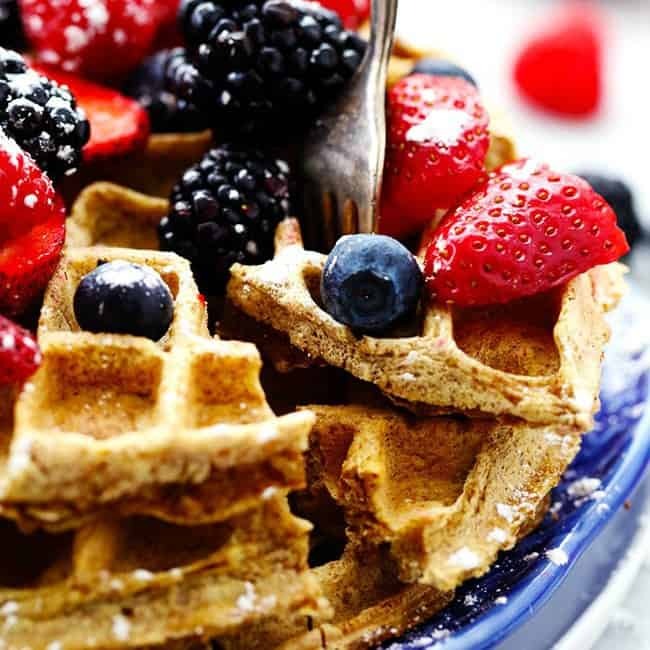 Delicious and healthy whole wheat waffles that are packed with protein and nutrients. In a large mixing bowl combine whole wheat flour, baking soda, almond milk, scoop protein powder, and eggs. Mix until incorporated. 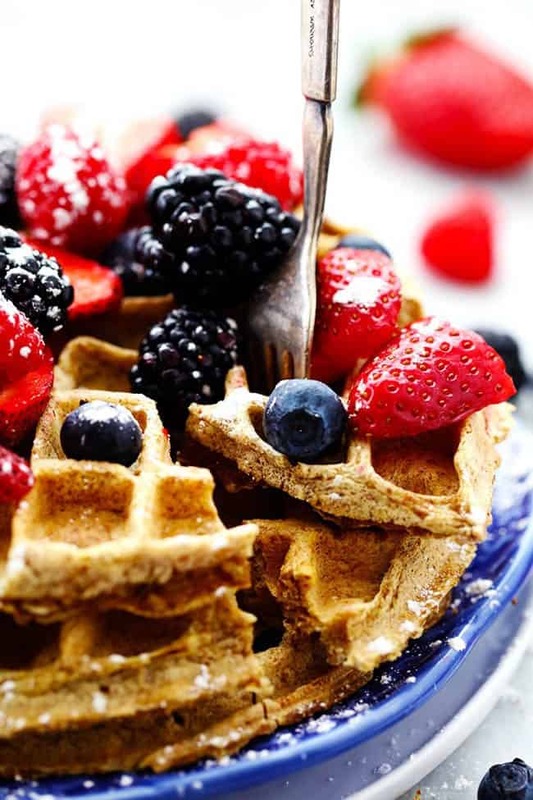 Put about ¼ cup batter in the center of hot waffle iron and cook the waffles until waffle iron is ready and golden brown. I can’t live without peanut butter and chocolate. And these cookies are the best of both worlds! They have the same texture of the traditional peanut butter cookie and just melt in your mouth when you eat them. Here is the best part… they are made with better ingredients and are only 240 calories per cookie with 9 grams of protein. 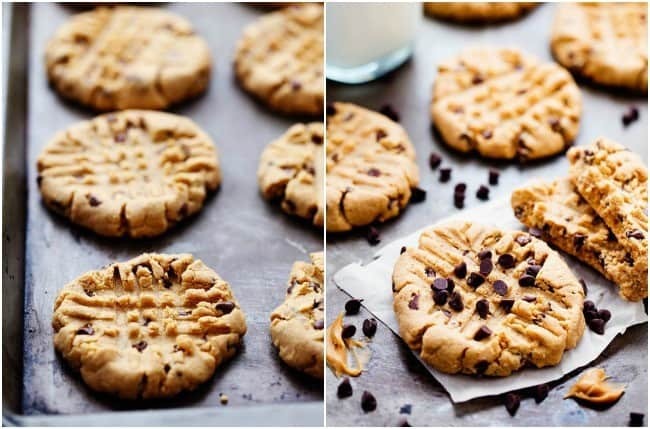 Delicious peanut butter chocolate chip cookies that are packed with protein and only 240 calories per cookie! Preheat oven to 350 degrees. In a medium mixing bowl combine SCORE protein, egg, sugar, peanut butter, salt and chocolate chips. The dough should come together like regular cookie dough. Scoop 3 tablespoons of cookie dough roll into a ball. Flatten into a cookie shape and place on parchment paper. Use a fork to make a criss cross in the top of each cookie. Sprinkle with reserved sugar and bake for 12-15 minutes or until golden brown. Let cool for 10 minutes. 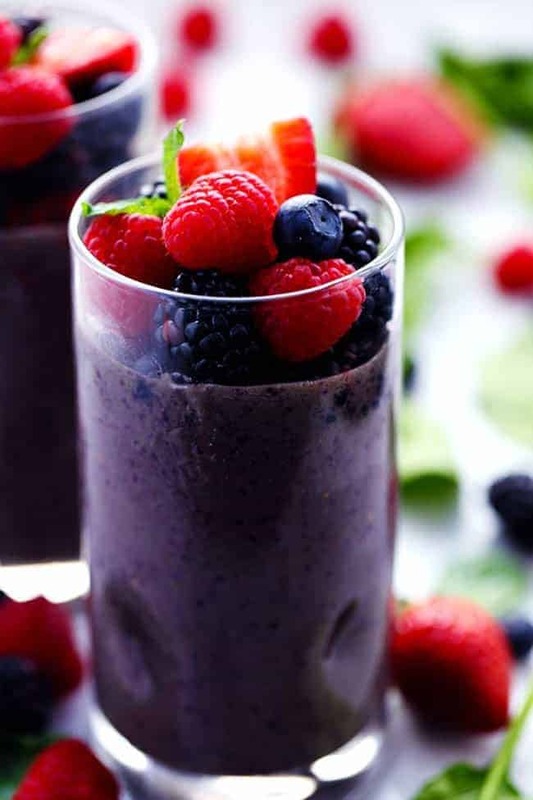 Lastly, I am sharing with you my FAVORITE Triple Berry Green Smoothie. Smoothies are such a great way to get your fruits in and sneak some greens in without even knowing it! I love to have a smoothie after a workout and use a scoop of Score Meal Replacement. I am getting my protein and nutrients in in a delicious and refreshing way! 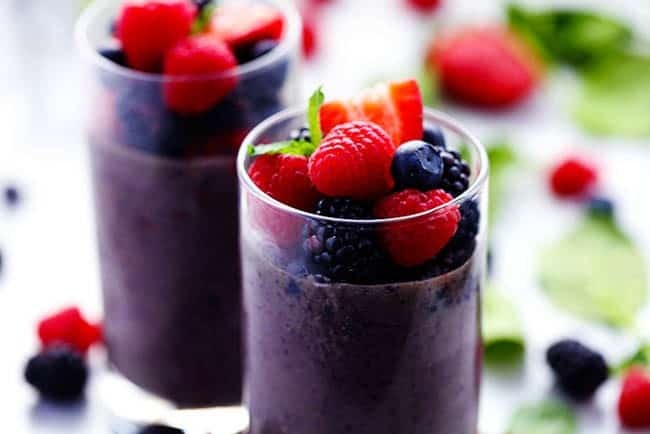 A delicious smoothie bursting with delicious berry flavor and hidden with spinach inside! This is a great way to get in the nutrients that your body needs! Combine all ingredients in a blender and pulse until smooth. Add more milk if needed. This post was sponsored by FNX Nutrition. I support local companies that provide us with great nutrition and give back to the community. All opinions expressed are my own. these do look really good!